Blend all the ingredients together in a blender or a juicer along with ice cubes. Taste and add sugar if needed and again blend it. 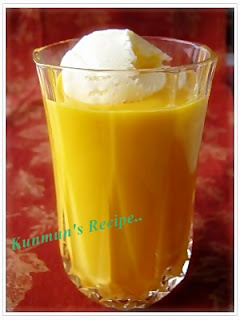 Serve immediately by decorating top with ice cream and enjoy the lovely and colourful delicious mango shake in summer.